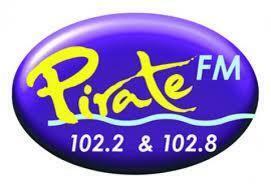 Local commercial radio station Pirate FM has reaffirmed its commitment to Cornwall. In a letter to MPs, councillors and businesses, MD Beverley Warne assured that Pirate will continue to be broadcast from Cornwall. Warne said the radio station, which broadcasts from studios in Redruth, had received concerns following the recent sale of Atlantic FM to London-based Heart. She said: “The fact that Heart will desert the county and broadcast programmes from Exeter and London, irrespective of the fact that it claims to be a local station, has raised a lot of concerns amongst listeners, local organisations and advertisers. “We do not intend to follow suit. We are based in Cornwall and proud to be so. We employ dozens of local people, ensure that we invest in the local community and broadcast our programmes locally. @piratefm great news. Cornwall needs its pirates …..